DYS out-runner brushless motors are designed with one thing in mind; maximising multirotor performance! Unlike many so-called multirotor motors these have been engineered specifically for multirotor use and are not based on airplane motors. 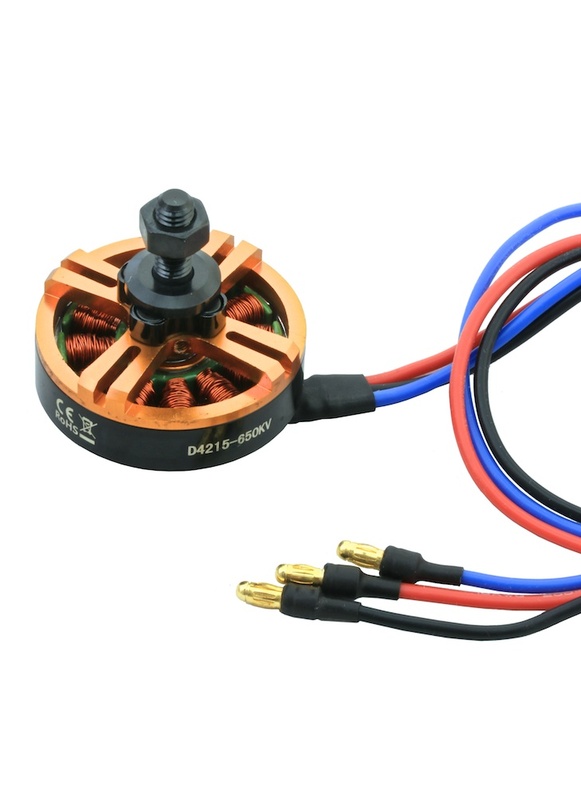 The D4215-21 650KV is a great value heavy lift pancake motor. It features a high poles count for less noise, smooth and responsive power and increased efficiency - a fantastic choice for medium sized quadcopters and hexacopters carrying a payload. The motor comes with pre-soldered 3.5mm gold bullet connections on long 16AWG wires ready to plug straight into your ESC’s. 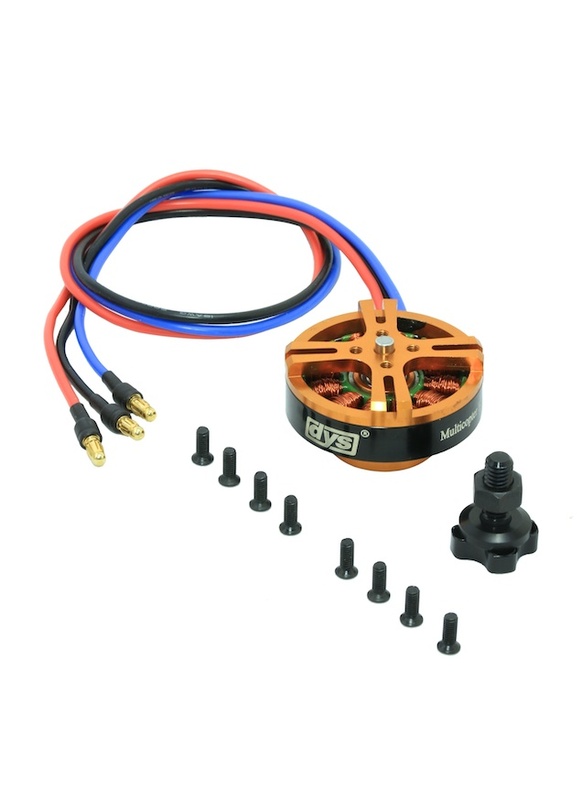 Also included is an accessory package with bolt-on style 6mm prop adapter and set of fixing screws. Direct style prop adapters are also available here. 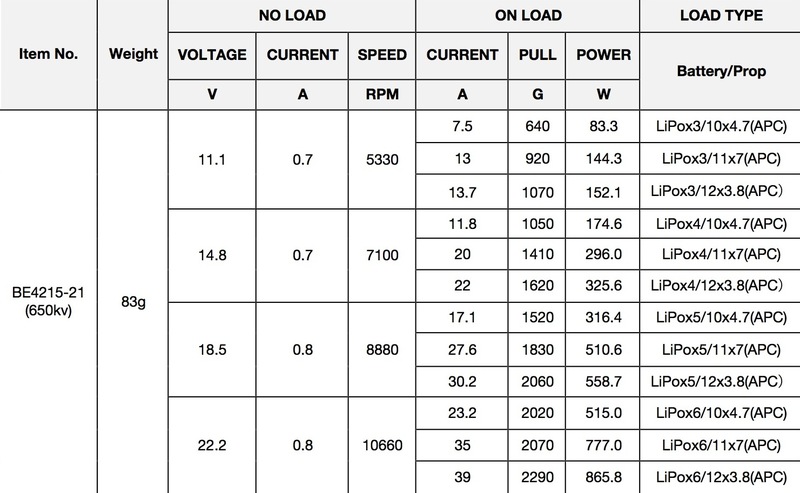 Hi, it depends on your setup as the current draw is related to voltage / prop size. As a rough guide 3S - 20amp ESC, 4S 30amp ESC, 6S 40amp ESC.